On February 6, Europe witnessed what might be the boldest attempt to date to mobilize the continent’s masses against immigration and Islam. An international movement is emerging, uniting Europeans across borders—to call for the strengthening of the continent’s outer borders. The movement is overcoming old national hatred—but it is driven by a hatred that is international. It has even begun to articulate a critique of austerity and a defense of social welfare—for Europeans, on the condition that poor non-Europeans be kept from enjoying the continent’s (increasingly meager) well-being and prosperity. This was not the attitude toward austerity and the wretched of the earth that many of us a year ago hoped and even believed would be dominating the news. The past year has been marked by two questions and two remarkable political responses: the question of austerity, met by the abortive rise of the radical left, and the question of migration, met by the still-unchecked rise of the radical right. Austerity and migration have been central to European politics for some time, but 2015 has finally brought them together. Much of the success of the radical right can be traced to the consistent and comprehensive answer it provides to both these questions. The future of the left may also hang on its ability to consistently and comprehensively counter the radical right. And as the traditional center loses ground and grows increasingly extremist, a lot hangs on the future of the left. On November 17, 2015, less than a week after the Islamic State claimed responsibility for the massacre of 130 civilians in Paris, current Czech president and former Social Democratic prime minister Miloš Zeman attended a rally in Prague. He called on his fellow citizens to resist the mass media’s attempts to brainwash us into tolerance toward Muslims, and he pleaded instead for tolerance “toward those who hold other views.” He then turned the microphone over some of those with “other” views, including Martin Konvička, leader of the “Bloc against Islam,” who advocates sending Muslims to concentration camps, restricting the civil rights of Muslim sympathizers, and burning his ideological opponents to death. White supremacists and conspiracy mongers, but also hundreds of otherwise upstanding citizens, cheered in the crowd. Officially, the occasion was Struggle for Freedom and Democracy Day, a national holiday commemorating Nazi violence against student protestors on November 17, 1939 and the beginning of massive pro-democracy protests on the same date in 1989. But it seems that in Europe today almost anything can be made into a pretext for impassioned oratory against the tyranny of multiculturalism and Muslims (whose shivering, unarmed legions of refugees, in this case, are placed in the role of Nazi and Soviet occupiers). Of course, anti-immigrant groups have been active in Europe for decades, but they have generally gained broad popularity only in the countries of the West that actually have significant numbers of immigrants. And until recently only the extreme right has articulated xenophobia into an all-encompassing worldview. 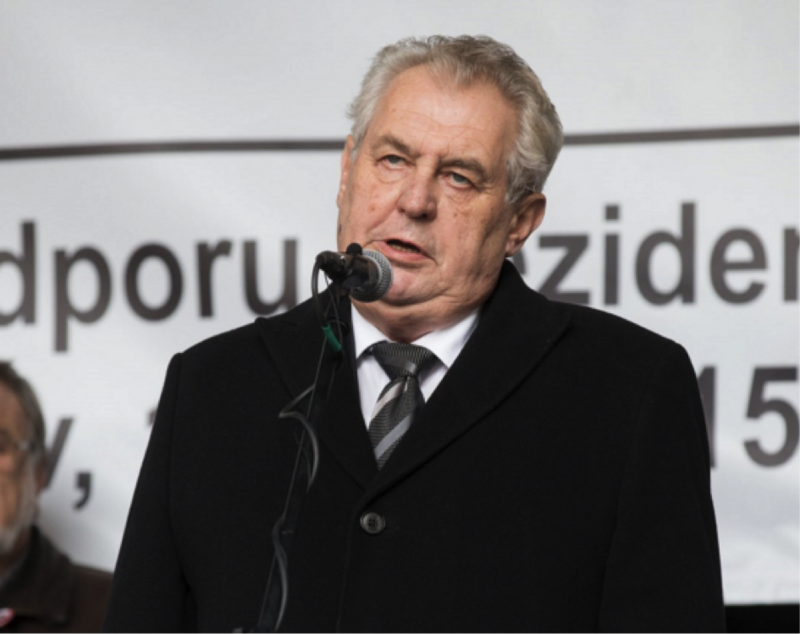 What is striking today is that gestures like Miloš Zeman’s can now be expected even from supposed representatives of the center and left, and even in countries with minimal experience of mass immigration. The liberal-conservative-social-democratic center, whose hegemony until recently went virtually unchallenged in Europe, now finds itself disintegrating from within and threatened from without. Wherever the radical left has been weak, the radical right has stepped up, and parties once considered extremist turn toward the political mainstream, reformulating the traditional extremist positions in more publicly palatable form. But mainstream parties too find themselves adopting or flirting with—or riven apart by—the message of this new right-wing radicalism. 2015 saw Geert Wilders’s Party for Freedom leap ahead in Dutch polls to enjoy a huge lead over its closest rivals. In Austria, the Freedom Party also now leads in national polls, and in France the National Front stands a good chance of winning the next presidential elections. In Finland, the xenophobic Finns Party joined a governing coalition in May; Denmark’s new liberal government has become resolutely anti-immigrant under pressure from the xenophobic Danish People’s Party; and in Sweden the anti-immigrant (and anti-democratic) Sweden Democrats are on the rise. The British Tories appear determined to steal the thunder of the UKIP by adopting much of its program and rhetoric (even taking measures against immigrants from other EU countries). Hungary has been ruled for several years by an intolerant regime, but 2015 brought Prime Minister Viktor Orbán to international prominence as he stepped happily into the role of defender of Europe against immigrant hordes. In October, Polish voters handed a landslide victory to a party that openly admires and seeks to emulate the regime of Orbán (and for the first time in the electoral history of post-partition Poland, not a single leftist party was voted into the Sejm). In the Czech Republic and Slovakia, nominally center-left governments have taken up the rhetoric of the xenophobic right, somewhat timidly in the Czech case (where the government appears moderate next to the vociferous but mostly powerless president), and with great enthusiasm in Slovakia. Farther east, neo-fascists play key roles on both sides of the civil war in Ukraine, while far-rightists of various hues remain as strong as ever in Russia, both in and out of power. Southern Europe may have so far been spared some of the developments of the rest of the continent, but the Liga Nord is growing in Italy, while the neo-fascist National Movement Party polls at 10-15% in Turkey, where the governing Justice and Development Party is among as the most repressive—though obviously not the most anti-Muslim—on (and near) the continent. And the most frightening major party in Europe is probably Greece’s Golden Dawn, although Hungary’s Jobbik runs a close second, and is much more powerful. It is probably an ominous sign that the nationalist rulers of the former Yugoslav republics, some of them led by successors to the genocidal political parties of the 1990’s, have come to appear moderate and reasonable in comparison to their counterparts elsewhere. Truth be told, there are no real second comings in this world, but this fact offers small consolation. The new radical right will not bring back the 1930’s, but what it does bring is troubling enough. The media have understandably focused on the relationship between today’s xenophobic groups and the extreme right of old. These connections are real. The xenophobes of today have been repackaging the traditional extremists’ program, granting new legitimacy to ethnic nationalism, coded (and sometimes less coded) racism, and the growing police state. Some of the rising right-wing parties, like Jobbik and Golden Dawn, even offer romantic visions of national renewal grounded in past glory, quick blood, and fertile soil, none of which would be out of place in the World War II-era regimes that they openly admire. But a larger part of the xenophobic movement is more humble in its aims and low-key in its demands. Denying any sympathy for fascism, it advocates the drab ideal of the simple life that preceded the influx of immigrants and the influence of Islam. And some xenophobic forces—those most politically successful—have been quite straightforwardly materialist in their programmatic claims: they want to keep the wealth and welfare of Europe for Europeans themselves. This new right has been long in the making. The global market has long been erasing or commodifying cultural difference, and as the political sphere is mobilized in response, culture is divided and defended along established political borders. The nation, the continent, and civilization are already braced against what comes to them from an imagined outside. But not only cultural difference is at issue. The European social pact, once accepted by Christian democrats, liberals, and social democrats alike, has been largely abandoned, and social welfare has been transformed from a point of convergence into a scarce good, an object of competitive struggle. When the European political establishment chose to address the sovereign debt along Europe’s perimeter by turning the whole nations into creditors of their neighbors, competition over the continent’s wealth further intensified. And as national states become decreasingly reliable guarantors of welfare, and as their internal democratic processes are undermined by transnational bureaucracy, faith in traditional parliamentarianism wanes. The traditional parties of the south are punished by voters for selling out their countries to creditors, while the traditional parties of the prosperous center and northwest are punished for sharing too much with the spendthrift south. This was the situation into which immigrants had the misfortune to step in 2015. A continent already riven by internal competition saw in them yet another group looking for its share. Nations already anxious over their loss of self-determination projected their fears of foreign power onto a group that had virtually no power over them. Electorates troubled by their own decaying democracies saw “waves” and “floods” of migrants, and they were reminded of their own internal chaos. People already disoriented by the homogenizing effects of global capitalism saw immigrants as a personification of market forces—which were, after all, at least partially responsible for the depressions, famines, and wars, not to mention the history of colonialism, that drove them to migrate. As the immigrants became increasingly designated as Muslim, “Islam” became an object of fear, made all the more powerful by its vagueness and mystery—a floating signifier capable of centering and unifying the entire discursive system of the new right. The rhetoric against Islam has framed the new right’s program within a clash of civilizations or culture wars. But what kind of culture and civilization is under discussion? The redemptive power of shared cultural expression, so important a part of older nationalisms, plays only a minor role for the new right today. The positive opposite to “Islamic culture” is not the culture of Goethe and Wagner but the culture of balanced budgets and safe, quiet streets. The civilization that supposedly clashes with “Islam” is not the civilization of Vienna operas and Parisian cafés but the civilization of law and order and of the freedoms of the hard-working middle class. It is also a civilization that to a considerable extent supersedes older national distinctions, and which complicates EU integrationists’ attempts to cast the idea of “Europe” as a tolerant, multicultural alternative to fragmented national identities. 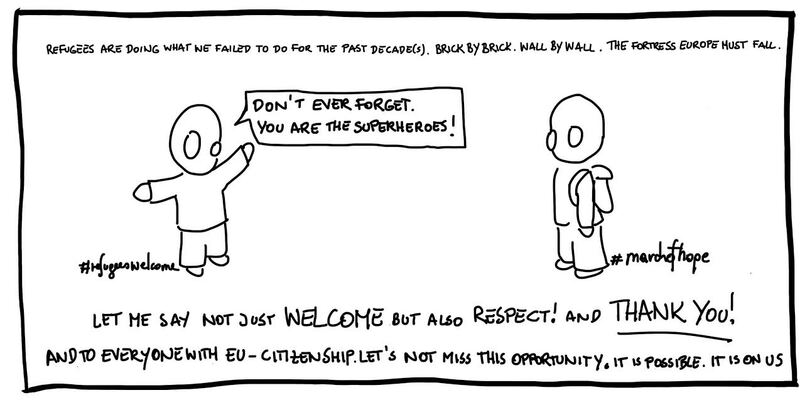 For all the new right’s hatred of the European Union, it nevertheless poses an idealized Europe of deservingly successful individuals beset by invaders from outside (this in spite of the fact that many asylum seekers are in fact Europeans, from countries like Kosovo and Ukraine). Longtime national enemies within Europe now find common ground in their fear of Muslims and refugees (feelings of solidarity among East Central European nationalists have perhaps never been so strong, as Hungarian, Slovak, Polish, and Czech leaders effusively praise one another for their hardline stances). Even while the new right decries multiculturalism, many of its representatives speak in favor of pluralism and cultural difference (the intellectually inclined “Identitarian Movement” is especially given to appropriating postmodern terminology). But theirs is a specific kind of pluralism, and their conception of cultural difference is grounded in a remarkably economistic geography of culture. The new right does not object to the existence of different cultures existing side by side; on the contrary, it poses its “own” culture as one of those whose difference needs defending. But it sees pluralism as sustainable only through the avoidance of excessive intercultural contact (and, thus, it turns the postmodern critique of colonialism back against the colonized). And if we look carefully we see that some cultures should be avoided more than others—namely, it so happens, the cultures of the world’s poor, who threaten to pull down the cultures of the rich (and whose role in producing European wealth is, naturally, overlooked). This is hardly altered by the fact that “Islam” is, at the same time, associated with inordinate oil wealth, since this wealth is understood to be unfairly gained, a chance windfall that only reinforces the image of those associated with it as undeserving of what they have and of any further aid. As traditional forms of labor and national solidarity crumble, the new right plays up the solidarity of the middle class against the excluded and the low. In contrast to the alleged subjugation of women and infidels by Muslims, the new right speaks of Western egalitarianism; but it strictly defines the reach of equality, excluding foreigners as well as the allegedly unproductive at home (Roma, the unemployed, effete intellectuals). In contrast to the strictures of sharia, the new right speaks of freedom; but the freedom that most interests it is the freedom of successful individuals to enjoy their hard-earned wealth, while the new right is inconsistent on or hostile to other kinds of emancipation such as sexual freedom. The new right shows relatively little sympathy for the classic fascist move of sacrificing individuality for the sake of affective unity with great leaders; rather, it promotes subservience to the successful, while it advocates rebellion against those who would take our wealth and give it to the undeserving poor. For proper, right-thinking Europeans who behold recent developments with horror, it is comfortable to regard the rise of xenophobia as something fundamentally external to the established liberal democratic consensus. In the west and north, the rise of the new right can be blamed on residual fascist elements that were never quite expunged from the political scene. In the east, one can blame the populations’ limited experience with democracy and multiculturalism and their failure to internalize liberal values in the years since Communist Party rule. It is more than an amusing irony that xenophobia is thus understood as a foreign element attacking us from outside—if we substitute “xenophobia” with “Islam” we find one of the fundamental planks of the new right’s program. Because the new right also understands democratic values to be native to the West, and it too claims that Western democracy must be defended from external threats. Xenophobia does not serve as the ideology of the most successful. It seems best suited for and is best received among those who are relatively well off but are most concerned about losing what they have. So we see it in border regions like northern Italy, where the Liga Nord feeds off anxieties over the region’s proximity to the country’s poorer south. France, though economically struggling itself, is in much better shape than neighboring Spain, and the National Front plays up fears over the country’s precarious well-being. In countries with long-generous welfare states and historically strong labor protections, the new right finds ample support in a native born working class uncertain of its future. And in post-Communist Central Europe, the new right is rising at a moment when the region has just emerged from the long depression that is euphemistically referred to as the “transition to a market economy” following 1989. The rise of the new right has much less to do with atavism and historical backwardness than it does with contemporary economic privilege perceived to be in peril. The new right offers its ideas to the middle classes fearful of losing what they believe they worked so hard to earn and what prevailing economic indicators and theory tell them they have no need to share. And liberal values have played a crucial role in developing these ideas. The connection between liberalism and xenophobia is made explicit by parties like the Netherlands’ Party for Freedom and Slovakia’s Freedom and Solidarity, which hold up free enterprise along with LGTB rights as marks of European superiority. And we might also remember that the Freedom Party of Austria and Fidesz in Hungary both began as liberal parties. But even when the new right attacks some liberal values, it seems to have internalized other liberal values all too well. Today liberal elites lament the current illiberal political turn, but they do not express much awareness of their own contribution to it. For years—and nowhere more passionately than in East Central Europe—liberal elites preached a gospel of personal responsibility; now they are surprised that people do not want to take responsibility for the plight of others. For years the elites warned against the laziness and ignorance of the handout-dependent poor; now they are surprised that hatred of the poor extends to hatred of whole peoples who are made collectively poor. For years they praised the virtues of private success; now they are surprised that the successful nations consider themselves superior to the nations mired in poverty. For years they spoke of the need for sacrifice and belt-tightening for the sake of future prosperity; and now, when national economies are finally growing, they are surprised that people want to hoard their newfound earnings. Even while it fights against right-wing extremism, European liberalism has itself been growing extreme, as liberal, social democratic, and liberal-conservative (Christian democratic) parties give up their social commitments in favor of market fundamentalism and crushing austerity. A growing part of the population accepts the liberal justification of economic separation and inequality but sees no need to accept the liberal message of cultural equality and inclusion. Contemporary (neo-)liberalism has instilled in them a taste for economic masochism, and they extend this masochism to the cultural sphere. In July 2015, facing Greece, the established powers of Europe forced a party that identified as the radical left to give up its radicalism, kneeling before an intransigent, dogmatic center; and now the center risks being eclipsed by an authentically radical right. In July, the established powers taught Europe to punish the weak, and now they wonder that Europe learned the lesson so well. 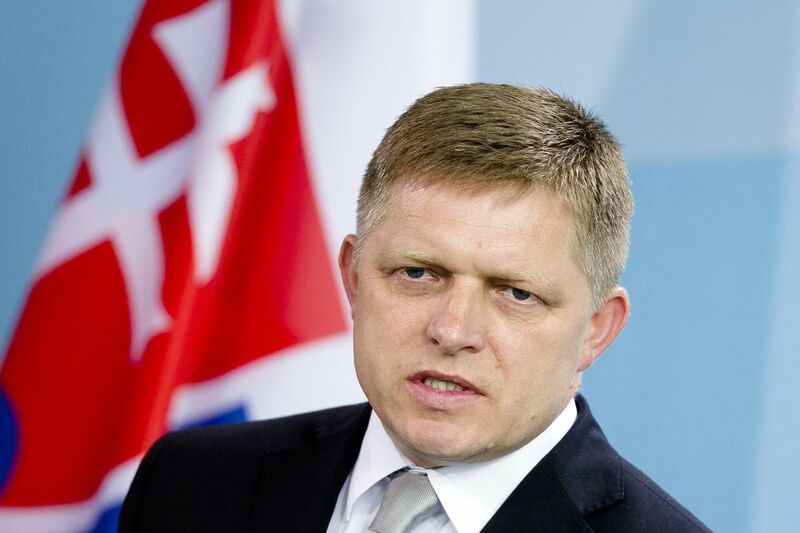 At the height of negotiations over the Greek bailout, Slovak Prime Minister Robert Fico explained his support for a hard line against Greece by invoking Slovakia’s own experience with austerity: “The Greeks can’t even imagine what Slovakia had to go through.” He cut through the absurd economic reasoning repeated ad nauseum by German Finance Minister Schäuble, getting straight to the point: We have suffered, and we will make you suffer too. We have earned what we now have, and we will not give it up for you. Months later, Fico was at the forefront of opposition to the acceptance of refugees, and his rhetoric hardly needed to change. It should be noted that Robert Fico’s party, Smer—SD (“Direction—Social Democracy”) was elected on an anti-austerity program. What’s more: he has to a certain extent fulfilled this program—for the proper, hard-working citizens of Slovakia. At the same time he vocally advocates the most austere budget cuts for Greeks and the total exclusion of Muslim immigrants. He has also imposed a kind of forced labor for the unemployed, specifically targeting Romani communities; and his government has threatened to drastically cut funding for research in the social sciences and humanities science—on the premise that these are not self-sustaining, productive fields (and with the subtext that academics, like Roma, immigrants, and Greeks, are lazy). Here lies the crucial difference between the liberal establishment in Europe and the new right (of which Smer, despite its official adherence to social democracy, is a part): the liberals offer austerity for all, while the new right promises well-being for us but austerity for them. And the difference between the new right and the left— which, sadly, it has also become necessary to clarify, as formally left parties increasingly take up positions of the new right—is that the left stands for well-being for all. It is now hard to believe that 2015 began with unprecedented hope that Europe might find for itself a new, more humane way out of its political and economic crises. Those hopes, fueled above all by the victory of SYRIZA in Greece’s January elections, were crushed at the moment of SYRIZA’s capitulation to Eurozone demands in July, and they were buried by the continent-wide hysteria against the refugees. Still, for a moment the refugee crisis also seemed to offer hope. Even while many supposed leftists and progressives, especially in East Central Europe, suddenly gave in to (or pragmatically simulated) fear of the foreign, many conservatives and liberals appeared moved by the spectacle of suffering. Angela Merkel seems to have seen the chance to repair Germany’s international image and bargaining power, seriously damaged during its bullying of Greece, and she made a show of leaving behind her party’s longstanding anti-immigrant policies. Fresh from depriving Greece of its patrimony and self-determination, she now remade herself as protector of the disinherited. In the midst of cutting support and wages to millions of Greeks, thus threatening to throw many onto the streets, she painted herself as protector of the homeless and poor. But by the end of the year much of this kind of pro-migrant sentiment had grown cold, and the political leaders of the continent were following the lead of Orbán rather than Merkel—while they remained of a single voice in their commitment to punishing Greece. Still, reports of the left’s death may have been exaggerated. Only a few months after SYRIZA’s capitulation, British Labour Party voters turned their party to the left with the election of Jeremy Corbyn as party leader. In Portugal’s October elections, two radical left parties combined for an unexpected 19% of the vote, and the center-left Socialists unexpectedly turned to them for support in forming a government. In Spain, Podemos lost some support after the Greek disaster, but it still won 21% of the vote in December; and there too the centrist Socialists seem determined to reestablish at least some of their leftist credentials, presumably in hopes of avoiding the fate of Greece’s PASOK. In Turkey the People’s Democratic Party has been violently repressed since polling 13% in June elections, but it still won 11% when elections were held again in November. And relatively radical left parties maintain a steady and significant presence in several other countries. Clearly there are segments of the public looking for new answers to the central questions of the day, and the left may still be capable of providing such answers. But as of the end of 2015 the successes of the left-of-center-left pale in comparison to the successes of the xenophobic right. Opposition to austerity lags behind—or is expressed in terms of—opposition to immigrants. Europe’s center-left has played its part in legitimizing those liberal principles that now lie at the heart of anti-immigrant discourse. Actively participating in the dismantling of the welfare state, it implicitly and sometimes explicitly accepted the principle that eventual and general prosperity requires a dose of temporary and particularized impoverishment. And as this line of reasoning becomes less and less convincing to voters, the center-left has been slow to abandon it—or, as in the case of Slovakia’s Smer, it has done so by moving to the right. Although the extreme right was once consistently neoliberal, the new right has successfully presented itself in many countries as the leading protector of social welfare. But rather than abandoning the neoliberal logic altogether, the new right translates the liberal calculus of differential prosperity into zero-sum arithmetic. Instead of eventual prosperity for all, it promises prosperity for us; and instead of temporary impoverishment for those sacrificed to economic reforms, it promises permanent exclusion of them. And at the moment that political discourse begins defending the well-being of one group at the expense of another, disadvantaged other, it crosses the line from left to right. The left stands or falls on the principle that the well-being and power of some is justified only by that of all others. As soon as it is asked whether “we” can afford to provide well-being to “them,” well-being is made a privilege, and the defense of privilege has always been the domain of the right. The right, in its various forms, poses the middle of society against the bottom and poses one bottom of society against another, while the top of society enjoys its established privileges unmolested. The left is the force that seeks progress and emancipation in common, connecting the struggles of the underprivileged to those of the slightly more privileged, turning erstwhile privileges into common goods. But the left is continually defeated by its partial victories. It fights for the excluded and impoverished of the world, and it succeeds in improving the lot of specific groups, which then cease to be so thoroughly excluded and poor. It only continues to be the left if, as it defends what it has gained, it continues to tie its fate to the fate of those whose victories have not yet come. In the wake of the postwar economic boom, large parts of the Western European left did just that, advocating for undocumented immigrants, for victims of ethnic and racial discrimination, and for the oppressed of the Global South. 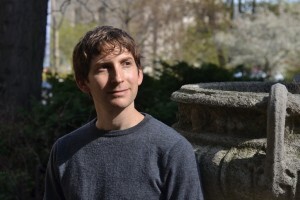 As this part of the left lost hope in the emancipatory potential of the relatively privileged local working classes, its approach came to be widely understood as an abandonment of class politics in favor of a plurality of “new social movements” defined in terms of identity and recognition within civil society. Yet what could be more central to class politics than the principle of exclusion? What is class but the restrictions of means and privileges to one set of people and the exclusion of another? And with the intensified globalization of capitalism, how can we understand the working class without understanding the geographical and identitarian exclusions that determine who may work under what conditions where, and who enjoys the fruits of their labor? We are not faced with a choice between migration politics and class politics. Class and migration politics are always already inseparable. The working class becomes increasingly migratory, even while its movement is legally restricted by a world that depends on its motion. And capital grows increasingly international, even while capitalists vie for power by playing to local animosities. Here lies the fundamental shortcoming of the liberal politics of civil rights within civil society: they are grounded in the principle of citizenship. Little of the wealth consumed in any given country is produced by citizens of that country. And the left should be concerned with those who are excluded from the privileges of citizenship. This is a task for which the left finds itself today thoroughly unprepared. The electoral left, especially where it has met with some success, becomes dependent on voting citizens in a world where citizenship is a mechanism of exclusion, where the most exploited workers are deprived of rights to citizenship in the countries that live off their work. Electoralism is a chief obstacle to international solidarity—not because power politics corrupt honorable civic politics, but because the most honorable civic politics still pit citizens against non-citizens. But even left movements in the Global South itself have been largely limited by the extent of their national or regional borders, as they defend the oppressed at home, but not the workers who wander. And even the solidarity-oriented left, the left that defends immigrants and the Global South, finds itself weak in face of the challenge at hand. It has commendably fought for those most vulnerable, but it has not been able to unite their many campaigns of solidarity into a broad, global movement. There once existed such a movement. It was known as “proletarian internationalism.” The internationalist left has been the only major historical movement that has attempted to give organizational form—in multiple socialist Internationals, international labor unions, and solidarity networks—to a part of society whose oppression and hopes for emancipation transcend the nation-state. But the form that internationalism historically took—an international confederation of nationally-based organizations—has become outmoded, incapable of effectively representing the migrant working class today (as it was already incapable of surviving the First World War). In the deepest sense the emancipatory interests of any national proletariat can only be realized together with the emancipation of the entire world. But this idea can probably only be made plausible by a new International that breaks free from national boundaries and emerges from the organization of workers where they actually are: dispersed and wandering across the earth. In this respect the migrants are now succeeding where the organized left has been failing: as they cross the continent’s forbidding waters, as they find their way through gaps in the continent’s fences, as they organize themselves and call out for representation, they are shaking national political establishments out of their petrified complacency, and they are tearing down the walls of Fortress Europe. One increasingly wonders if it will turn out that 2008 really was a turning-point: if the thirty-year episode of globalization met its end because the wealthy nations counted on credit to paper over their rising income inequality. It will be especially strange — indeed, horrifying — if neoliberal economism proved to be too weak to take on the nationally-based structures of modest privilege that this article so convincingly identifies.